American church historians trace the beginning of the evangelical movement to the early ministry of Billy Graham. His evangelistic crusades were transdenominational and open to anyone open to his proclamation of the gospel. While many fundamentalists despised Graham for what they perceived as compromises with Roman Catholics and “liberals,” many traditional Christians were drawn to his winsomeness, simplicity, and clarity. They wanted to find their way out of the fundamentalist shadows into the light of American cultural relevance. They argued that the narrowness, fortress mentality, and fierceness of fundamentalism made it unappealing to a world that needed the good news of Jesus Christ. Evangelicals, as they came to be called, wanted respect, not scorn. They wanted universities, not Bible colleges—with scholars with degrees from Harvard and Princeton on their faculties. But they also wanted mayors and governors, cabinet secretaries, and Supreme Court justices. They wanted a place at the American table. And over the next few decades they found it. 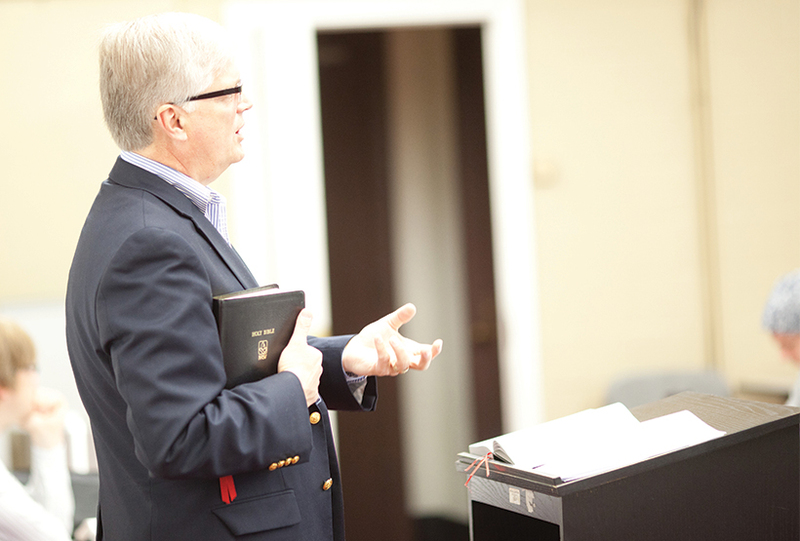 In recent years, however, evangelicalism has experienced crisis and decline. Fundamentalism is gaining what it lost with the rise of Billy Graham and the neo-evangelicals in the late 1940s and early ’50s. While those early evangelicals were more open and forward thinking than their fundamentalist peers, they were still quite politically and culturally conservative. The righteous, pious, generous, successful Christian businessman was the model of evangelical probity in those early days. These model citizens were nearly always, of course, white and male. Evangelicals were not notable for their support for the emerging civil rights movement. Many if not most evangelical churches in the South were hostile to the movement. Early evangelicals also tended to lean to the right politically, supporting business-oriented Republicans in the North and Midwest, and conservative anti-civil rights Democrats in the South. In light of this, the overwhelming if perplexing support of evangelicals for Donald Trump should not have been surprising. Evangelicals, as they came to be called, wanted respect, not scorn. The 1960s changed nearly everything. The Jesus movement was popular among younger evangelicals. It was more open to the civil rights movement. Its devotees often opposed the Vietnam War. Calls for economic and social justice entered the evangelical vocabulary. Many traditional evangelicals found this disquieting, a cloud on the evangelical skyline. I attended Bible school, college, and seminary during these years. We were convinced we could be both good evangelicals and good scholars. We could be good evangelicals and call for racial justice, work for peace, and address environmental degradation. But as the decades wore on, it became clear that this was not entirely true. Evangelicalism began to sink back into fundamentalism. The irenic Billy Graham was being replaced by much less irenic voices. Increasingly evangelical leaders insisted that some lines could never be crossed. Certain questions had been answered and needn’t be reexamined. This made it difficult for young scholars. If you had questions about the literal six-day creation, supported women in ministry, or had different ideas about politics and sexuality, you had better find a different community to serve. And you were often no longer welcome at the evangelical family table if you insisted that “black lives matter(ed)” or white privilege existed. These days many raised in the tradition, who love Jesus as much as ever, are being told, implicitly or explicitly, to keep quiet about their questions and convictions—or get out. The result is an evangelical brain drain as well as an evangelical youth drain. Many wonder if evangelicals are open to questions of truth. Are they willing to explore, reason, reflect, and change? Must the same answers always be given to the same questions? Perhaps evangelicalism will die along with Billy Graham. Something called evangelicalism will remain, but it will be indistinguishable from fundamentalism. The Covenant still has the ability to buck this trend. I hope it will. This is a great articulation of the polarization within evangelicalism, which matches the polarization in our country right now… so much for Christians being distinct I guess. My only additional thoughts are that the evangelical movement started before Billy Graham. Fundamentalism was a reactionary movement. I wonder if we can learn about the future of evangelicalism by going back a little bit more in time, maybe the Moravians and Wilberforce can help us. Jay, I love you and am not offended by your theology. I will continue to pray for you. The answer is ‘No.’ The reason – because Christ hasn’t returned and we have a lot of work to do in the meantime. Thank you, Jay, for naming this shift so articulately. I, too, hope we will remain true to our heritage and buck this alarming trend. Jay, I hope you’re not just looking for a new name for the Evangelical movement. I hope, like Paul, your ultimate goal is, “so that we may become all things to reach and impact our generation for the sake of the gospel of Jesus Christ.” Not for evangelicals or fundamentalist, orthodox or liberals. Let’s keep the main thing, Jesus, the main truth, the Bible, the main Mission, love for EVERYONE, the main thing.